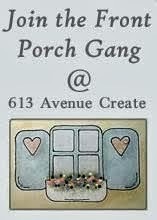 It is time for another challenge at 613 Avenue Create. This is challenge #82 and the theme is Anything Goes with the optional twist Use a Sentiment. This week I'm showcasing a lovely girly image from our sponosor, The Paper Shelter. With it I made a birthday card. In this card I used a digital stamp from The Paper Shelter called Adorable Cinderella, patterned papers from Lili of the Valley & NitWit Collections (Bonnies & Bowties), lace and resin cabochons from That Craft Place, paper flowers, flat back pearls, glitter shoe sticker, thread, plain white and pink card. Ribbon flower and crochet flowers hand made. Oh love the scene you created and your flowers are so pretty. Thank so much for joining us at Tuesday Throwdown Challenge "handmade flowers"
Pintas tan tan bonito... Me encanta!! ;-o wow! I can't get enought, from your colouring Image!!!! Its fabulous! Thanks so much for sharing your card. Hope, we see more from you at Scrapping4Fun Challenge. Beautiful card, love all the detail and the colors. Hi Aurora, such a beautiful card and image, love the pretty colours. This is a cute card! Wonderful job! Thanks for sharing with us at Just Inspirational Challenges.